How beautiful it has been to experience the Autumn rains, and the cooler temperatures after a baking summer. Firstly, thank you all for your well wishes and concern for William, my son. He is now completely recovered from his burst appendix, is back at university and having a lovely time with no after-effects. Gayatri is back in the UK, having finished her Masters in positive psychology, and has secured work with a management consultancy firm in London. We have just celebrated another birthday for my beloved Shiva, who as I write is down at our farm in Canyonleigh, which is looking marvellous with all the care of the devoted Southern Highlands team. Following a tricky start to the year, things are falling into place with new rhythms and seemingly a new chapter in the unfolding of the Divine plan so far as Shanti Mission is concerned. In Cooranbong, we have had some changes with the departure of Kalki, who is taking up a role as a mediator. We are all sure she will do a marvellous job helping members of the public solve their problems. Gangaji is also changing roles, moving out of our admin team and after a trip to see Amma, she will continue to help with the morning opening of our temples, when short ceremonies in honour of the inner plane connections which we hold so dear happen each day. If you are here, you are welcome to be part of that. Adi Dass is taking over the administrative tasks to do with managing pujas. Ganga has stepped in as our new volunteer coordinator. There is a new energy and vitality, with a new cohort of people coming into the center for the wisdom teachings, the Angelic temple, and the energy. I have been enjoying creating teachings that can reach many people for online distribution, and embracing technology, as a tool for expanding our consciousness and finding deeper peace. Our Sunday meditation with music and wisdom teaching (satsang) is now live on facebook each Sunday (Sydney time) and can be accessed any time afterwards for a quick lift and shift. 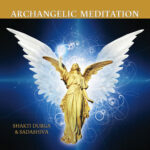 There are now a whole bank of them on the Shakti Durga facebook page, in the live video section. And any minute now it will be Easter. I find myself feeling deeply grateful for the journey that my life has entailed, odd as it may seem to some people. Recently the Goddess Narayani gave me a blessing to pull into my hand healing vibrations from the Cosmic energy, water is then poured onto the hand, becomes encoded with the healing vibration and then becomes an elixir similar to bach flowers or homeopathic remedies, specifically for that person. Healing and spiritual activation Ceremonies for this will be offered soon, so much bliss is involved too. The first one will be on Easter Friday. There have also been many incandescent meditations, bliss inducing mantras, fabulous company on the journey, and the growing awareness of how our benevolent Universe works. All this keeps me very happy and of course, the more you learn, the more you don’t know. I find that the further we go up the spiritual mountain, the more it’s the basics, the simple things that really matter. How much love is in the soup? What about balancing giving with self-nurturing? Finding gentleness, transmuting energy into grace, staying in balance, listening with discernment and not getting caught up in negativity, nurturing relationships – they really are the advanced class in Earth life! Next week I would like to share with you some insights about evolution and Lakshmi. For now, have a blessed and safe Easter, tune in to our Christian Mystic retreat that will be taking place this Thursday to Saturday, and enjoy the break.